Fairport’s Cropredy Convention: The Official Line Up! Weino Horrid Saturday March 31st. Jez’s Mixtape: Ten Albums You Need To Listen To! Show 37: Dance, Dance, Wherever You May Be! Radio Bicester Show #24: The Jezzie Award! Released on this day in 1970, Van’s third album was conceived, written and recorded in an artistic community in New York state where the Irishman had moved with his wife following the disappointing reception for his Astral Weeks album. Morrison, perhaps stung by the critical reception, eschewed his previous folk jazz direction and immersed himself into a more bluesy style for this next album. Originally using artists that had played on Astral Weeks, Morrison, who had insisted on full production control to the consternation of the label bosses at Warner Brothers, engineered a situation by which he could lose these musicians and replace them with ones more to his thinking on this album. Recruited from the Woodstock area players such as guitarist John Plantania ended up working with Morrison for a number of years and records. For me, the album demonstrates Morrison beginning to find his own voice and ideas and developing his own particular brand of magic. Interweaving themes of nature, the itinerant life of the gypsy, folklore and mysticism Morrison lends an almost childlike quality to the album, whilst melodically structuring beautiful arrangements that give this album a wonderful spiritual feel. It is certainly themes that he returns to in later albums, especially for me on his 1990 album Enlightenment, with its visions of an Irish childhood. Certainly it shows an artiste who knows what he wants to create and with the artistic control to deliver it. From the very opening track, ‘And It Stoned Me’, Morrison created a gorgeous sonic delight that melds blues, folk and jazz into a sumptuous and glorious work spotlighting a unique and original talent at the height of his powers. It showcases a rare talent who, over the forthcoming years, was able to develop a style and sound idiosyncratically his own, trailblazing a path for many others to follow their own, perhaps eccentric, certainly single-minded and somewhat cussed, some may even say grumpy hearts and minds to create music of rare beauty on their own terms. Certainly later artists of the likes of Kevin Rowlands of Dexys Midnight Runners owe a lot to this album and artist. I got into Van Morrison fairly late into his career, I guess about 15 years ago. 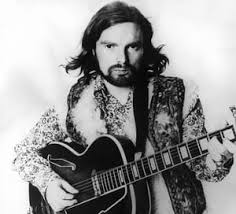 I fell in love with Astral Weeks and the Veedon Fleece (this was the album a friend played that introduced me to Van the Man), but when I got to hear Moondance it blew me away. Every track on the album is just superb and the title track is just amazing. Van Morrison for me defies the view that artists have a peak period … I look at the first 3-4 albums and also albums like Days Like This, The Healing Game, The Irish Heartbeat and Back On Top, and they show a high class output over a sustained period of time. Having said that, I’m not so keen on anything since Back on Top. 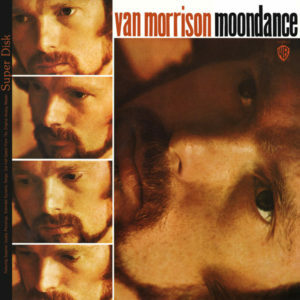 Moondance should always be the first choice Van Morrison CD. And just for the record we could do without that Michael Bubble chap covering Van Morrison songs … boo hiss. Totally agree with everything you say here Chris – I will say that Enlightenment is just an amazing album too. Love it to bits. And as for Bubbly bloke, yep – stick to the Sinatra Micky!! !